Due to large crowds, dogs are not permitted. Enjoy 90+ unique vendors who sell everything from hand crafted items, toys, ornaments, jewelry and more. You will find traditional German gifts such as smokers, pyramids and lebkuchen along with tantalizing food. The magic of Christmas abounds at the market. Activities for children include the St. Nicholas Haus, daily children's parades, live nativity animals, the Gnome Fest and more. Putting the "KIND" in ChristKINDlmarkt! 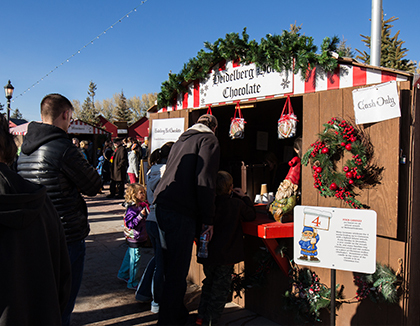 The heart of the Christkindlmarkt-SLC is our commitment to promoting and encouraging children's acts of service. The daily parades celebrate the kind deeds of children. Whimsical and fun, the parades are the highlight of the market each day.